I love this song, not only because Nicola Sacco had my same name and was born in my own region of Italy (Puglia), I love it because when I was a child I read this sad story of innocents sent to the electric chair. The music of Ennio Morricone and Joan Baez's words are beautiful, you can read more about Sacco and Vanzetti to this page on Wikipedia. 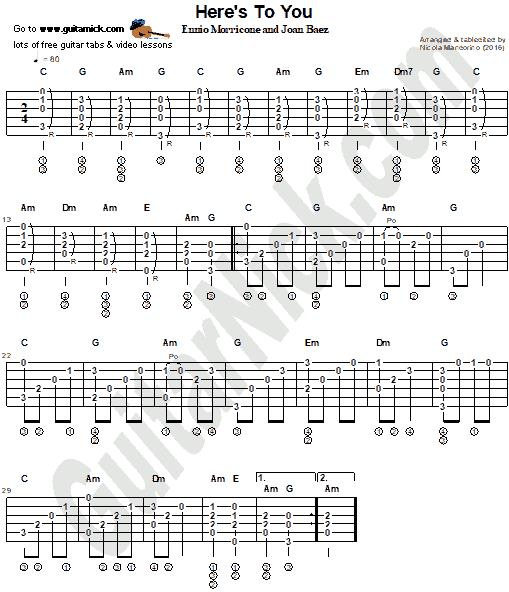 Learn to play the song with this free guitar lesson, tab, sheet music, chords and my video tutorial.